DEAD BODY LOVE (ita) "low-fi power carnage" CDRe-issue cd of quite possibly the most crumbled and crushed out harsh noise release to date. Originally released in Italy by Old Europa Café in '95, "low-fi power carnage" was an excellent example of imported noise from the Italian harsh noise master Gabriele Giuliani. At a time when the cassette format was king and Japanese noise was sometimes too high range and polished causing Americanoise to crush the genre with acts such as Skin Crime and Macronympha, Dead Body Love was also around to deliver the most crusted and rumbling of the contemporary harsh noise acts. of nightmarish trip to the land of the power electronics. Grunge rural et familial de l’état de Picardie. The first ever anthology of southern soul legend Wendy Rene. Here's the archive treatment it richly deserves. Listen, delve and enjoy. Jimenes, Nollet et Trux, pour deux nouvelles chansons à textes sur la dépendance affective, l'usage de l'alcool, la contraception masculine... mais avant tout sur le malaise tétragénaire. Tout ça conté par trois gonz qui n'ont même pas trente ans. J'AI PAS D'ARGENT "demo scanned" 3 songs. 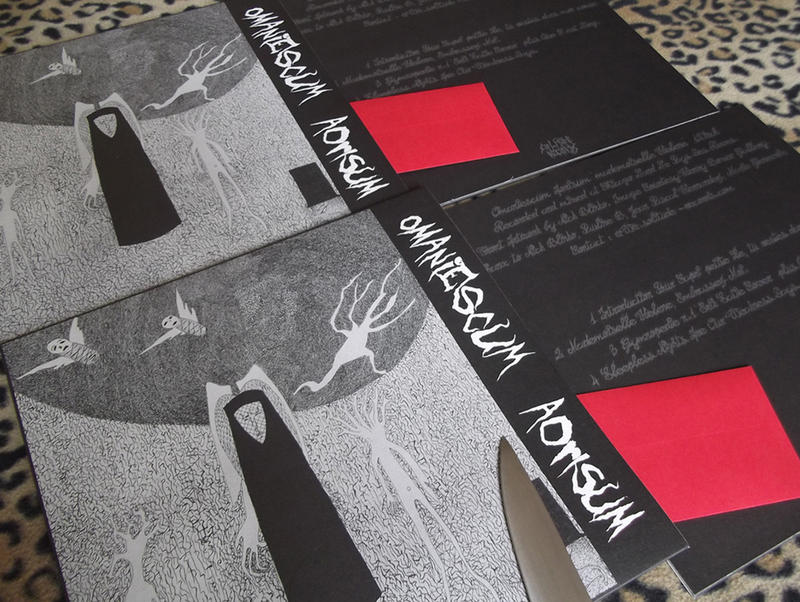 Omaniescum Aorisum is a sweet intention cloistered between 4 walls that’s mysteriously looming since 2012. This harshnoise assemblage tinted with inconspicuous maxims of power electronics was therefore very logically named ''Mademoiselle Hélène''. Corrosive, cavernous feedback..., death knell is given and resonates as a tribute to Le Boucher, directed by Claude Chabrol in 1970. A caustic soundscape supported by a gymnopedic Erik Satie cover and a front artwork drawn by Nick Blinko of Rudimentary Peni. Play it loud - on real speakers.